The Terms and Conditions shall supersede and apply to the exclusion of any terms and conditions attached to a purchase order or e-mail, or any other terms issued by a customer. Once the customer has requested the services of Wireandfencedepot, the customer is deemed to have understood and accepted the terms and conditions as set out below and it shall be deemed that there is a contractual agreement between the customer and Wireandfencedepot. Wireandfencedepot will always endeavour to fulfil the customer's requirements, and whilst every care has been taken to ensure services and products are problem free and accurate, the ultimate responsibility lies with the customer in ensuring that all purchases are correct. The customer agrees to provide Wireandfencedepot with everything needed to complete the order required by Wireandfencedepot. The customer guarantees that the information provided to Wireandfencedepot is for inclusion of the order. All quotations are valid for thirty days. Wireandfencedepot will not share, sell or distribute any customers' contact information. Order acceptance and the completion of the contract between you and Wireandfencedepot will take place on the dispatch of the products ordered by you, unless we have notified you that we do not accept your order or you have cancelled your order. Reasons for non-acceptance of an order may include, but are not limited to, the following: •	The product you ordered being unavailable from stock •	Our inability to obtain authorisation for your payment •	The identification of a pricing or product description error If there is a problem with your order then you will be contacted by one of our customer services representatives. The sales contract is completed in Republic Of Ireland, and is subject to Irish law. We reserve the right to reject any offer to purchase by you at any time. Wireandfencedepot accepts payment by credit or debit card, PayPal or bank transfer. Any payment returned by the bank will incur an administrative charge as charged to Wireandfencedepot by the bank. Payment is required in full to process any order for dispatch. Wireandfencedepot reserves the right to amend its prices at any time without prior notice and all prices exclude VAT unless specified. The technical steps required to create the contract between you and Wireandfencedepot are as follows: You place the order for products on the website by pressing the submit order button at the end of the check-out process. You will be guided through the process of placing an order by a series of simple instructions on the website. We will send to you an order acknowledgement email. This is not an order confirmation or order acceptance from Wireandfencedepot. Alternatively, orders may be placed by telephone, by fax, by e-mail or by purchase order (subject to our minimum order requirements for purchase orders). Order acceptance and the completion of the contract between you and Wireandfencedepot will take place on the dispatch to you of the products ordered, unless we have notified you that we do not accept your order or you have cancelled it in accordance with the instructions in the "Cancellation and Returns" section below. You agree to fully indemnify, defend and hold us, our officers, directors, employees, agents and suppliers harmless immediately on demand from and against all claims, liability, damages, losses, costs and expenses (including but not limited to legal fees) arising out of any breach of these Terms and Conditions by you or any other liabilities arising out of your use of the Website or our products, or the use by any other person accessing the Website using your shopping account and/or your personal information. Modify or withdraw, temporarily or permanently, the Website (or any part thereof) with or without notice to you and you confirm that we shall not be liable to you or any third party for any modification to or withdrawal of this website; and/or change these Terms and Conditions from time to time, and your continued use of the Website (or any part thereof) following such change shall be deemed to be your acceptance of such change. It is your responsibility to check regularly to determine whether these Terms and Conditions have been changed. If you do not agree to any change to these Terms and Conditions then you must immediately stop using the Website. Limitation of Liability Whilst we will use reasonable endeavours to verify the accuracy of any information we place on the Website, and information contained in any correspondence (including e-mail, quotations, pro-formas, mail, or verbal communication), we make no warranties, whether express or implied, in relation to the accuracy of information supplied. The Website is provided on an "as is" and "as available" basis without any representation or endorsement made and we make no warranties of any kind, whether express or implied, in relation to the Website or any transaction that may be conducted on or through the Website or as a result of information contained on the Website, including but not limited to implied warranties of non-infringement, compatibility, security, accuracy, conditions of completeness, or any implied warranty arising from course of dealing or usage or trade. We make no warranty that the Website will meet your requirements or will be uninterrupted, timely or error-free, that defects will be corrected, or that the Website or the server that makes it available are free of viruses or bugs or represents the full functionality, accuracy, reliability of the Website. We will not be responsible or liable to you for any loss of content or material uploaded or transmitted through the Website. To the fullest extent permissible under applicable law, we disclaim any and all warranties of any kind, whether express or implied, in relation to the products available on the Website, or products supplied during the course of our business. This does not affect your statutory rights as a consumer, nor does it affect your contract cancellation rights. We will not be liable, whether in contract, in tort (including, without limitation, negligence), in relation to pre-contract or other representations (other than fraudulent or negligent misrepresentations) or otherwise out of or in connection with these Terms and Conditions for; any economic losses (including but not limited to loss of revenues, profits, contracts, business or anticipated savings); or any loss of goodwill or reputation; or any special or indirect losses suffered or incurred by you or any third party arising out of or in connection with the provisions of any matter under these Terms and Conditions. Nothing in these Terms and Conditions shall exclude or limit our liability for death or personal injury resulting from our negligence or that of our servants, agents or employees. At Wireandfencedepot we are committed to giving you the best possible products, prices and service. Wireandfencedepot makes every effort to ensure that your goods are delivered within the specified delivery times by using accredited couriers. However, our delivery service times or scheduled delivery days are not guaranteed. Non-delivery should be notified to us within 14 days of order confirmation. Customers in the UK should allow at least 2 extra days for delivery. All deliveries must be signed for by the customer or by a person acting on behalf of the customer. Customers requesting products to be left without signature do so entirely at their own risk and Wireandfencedepot will not be liable for any claim for missing items once they have been left by our approved courier. Should any product purchased from Wireandfencedepot be found to be damaged upon delivery* or faulty then we will be pleased to arrange replacement or a refund for the item purchased. * If goods are found to be damaged upon delivery, they must be signed for as damaged. 1.) Cancellation and Returns for private consumers In the event of a private customer purchasing an item by mistake or simply not requiring the items from Wireandfencedepot you should notify us in writing either by post, by e-mail or by fax, that you intend to return or refuse delivery of an order (you must notify us within the period of 14 calendar days beginning on the day on which your order is delivered). We will be pleased to arrange for replacement or refund, provided that the item/s are in new and unused condition and contained in original undamaged packaging. Please note that only the standard delivery element (if any) of the outgoing carriage will be refundable. It will be the responsibility of the customer to pay the return costs of the unwanted item/s by courier or signed-for mail. We will not accept returns of materials which have been cut to size or cut from rolls, this includes woven wire cloth (mesh), which is always cut from a roll.For customers not wishing to make their own arrangements to return items which they do not require, we can instruct a courier on their behalf to collect from their premises. Should our courier not be able to collect goods owing to no-one being available at the collection address on the pre-arranged day of collection, full charges will apply and additional charges will be incurred should you require a further collection attempt. This statement does not affect your statutory rights as a consumer. 2.) Cancellation and Returns for businesses Businesses purchasing from Wireandfencedepot do not have the option to return goods for a refund. We may consider the return of goods for credit by arrangement. A re-stocking charge will be applied. 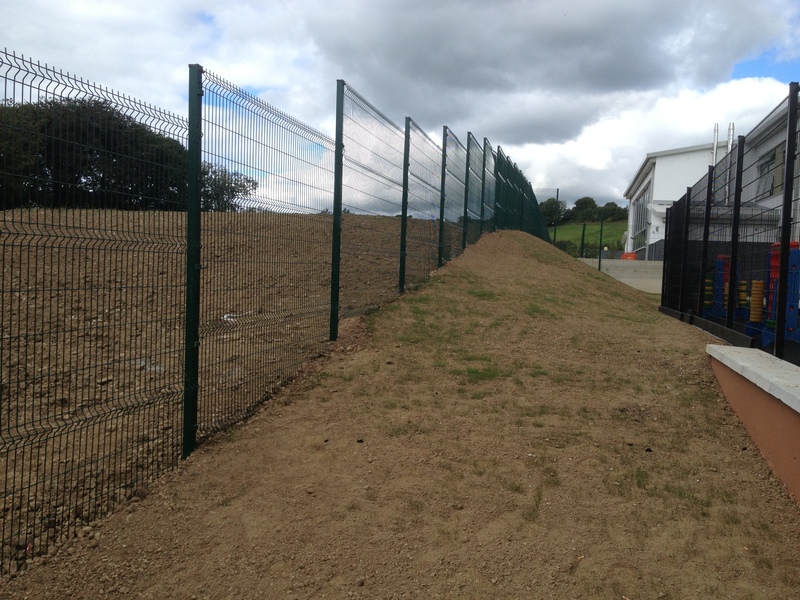 In the event that you have any questions regarding your order after the contract has been concluded, or should you wish to make a complaint about your order, then do so by e-mail (info@wireandfencedepot.ie). Enforceability In the event that any clause or part clause of these Terms and Conditions is found by the Court to be illegal, invalid, or unenforceable then that provision will be removed from these Terms and Conditions and will be rendered ineffective without, as far as is possible, modifying any other clause or part clause of these Terms and Conditions which will remain in full force.